Tomorrow is Willie Nelson´s 85th birthday (born April 29, 1933). Here are 10 wonderful songs performed & most of them written by Mr. Nelson. An American country music song by Johnny Christopher, Mark James and Wayne Carson, recorded first by Gwen McCrae (as “You Were Always On My Mind”) and Brenda Lee in 1972. Willie Nelson recorded and released the song in early 1982. It raced to number one on Billboard magazine’s Hot Country Singles chart that May, spending two weeks on top and total of 21 weeks on the chart. A 1981 single from the film Honeysuckle Rose. “Angel Flying Too Close to the Ground” was written and performed by Willie Nelson. 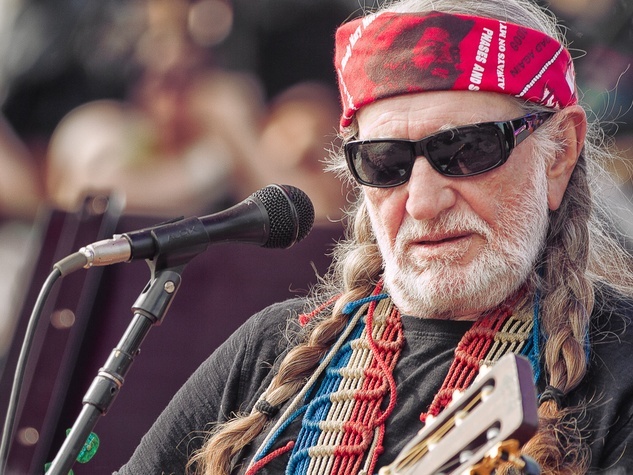 The single was Willie Nelson’s seventh number one on the country chart as a solo artist and stayed at number one for one week and spent a total of fourteen weeks on the country chart. The song, about life on tour, came about when the executive producer of the film Honeysuckle Rose approached Nelson about writing the song for the film’s soundtrack. “On the Road Again” became Nelson’s 9th Country & Western No. 1 hit overall (6th as a solo recording act) in November 1980, and became one of Nelson’s most recognisable tunes. Co-written and recorded by American country music singer Johnny Bush. He released the song in 1972 through RCA Victor and included it on his album Whiskey River. Written, composed, first recorded, and first released by Kris Kristofferson. Written by Nelson for his brilliant 1975 album “Red Headed Stranger”. Written by Troy Seals and Eddie Setser, and recorded by American country music artist Willie Nelson as a duet with Ray Charles. It was released in November 1984 as the first single from the album Half Nelson. “Seven Spanish Angels” was the most successful of Ray Charles’ eight hits on the country chart. The single spent one week at number one and a total of twelve weeks on the country chart. That lay smokin’ in his hand. And she knew she couldn’t win. Nelson wrote the song inspired by his struggles to become a “better parent”. It was originally released in the 1970 RCA Records release Both Sides Now. Nelson was inspired to write the song during one of his trips from his home in Pasadena, Texas, to his work, singing at the Esquire Ballroom in Houston.